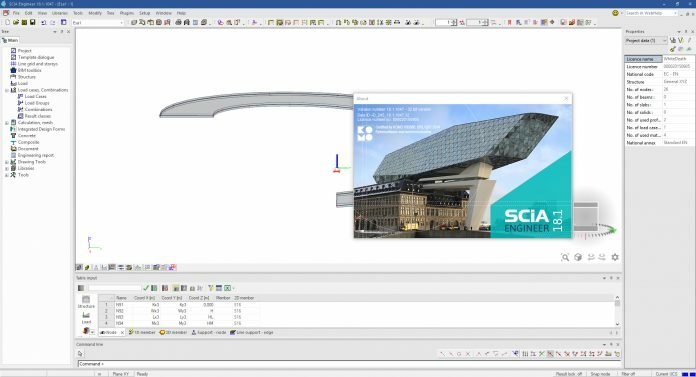 SCIA part of the Nemetschek Group has released an updated SCIA Engineer 18.1 is follows in the footsteps of version 18 and focuses primarily on extending some of the recently introduced features and capabilities. About SCIA Engineer 18.1. SCIA Engineer is an integrated, multi-material structural analysis and design software for all kinds of structures. Its wide range of functionality makes it the ideal partner for the design of office buildings, industrial plants, bridges or any other project, all within the same easy-to-use environment. Seamless exchange of models with other project stakeholders, through the powerful bi-directional links with Revit and Tekla Structures, Open BIM’s IFC, or third-party plug-ins. SCIA Engineer 18.1 move the software to the next level in terms of usability, material design and interoperability. We have enhanced usability with streamlined basic operations and more automatic workflows, improved integration into BIM workflows with upgraded Revit and Tekla links, a new IFC4 interface and added new design capabilities for advanced materials and construction systems.